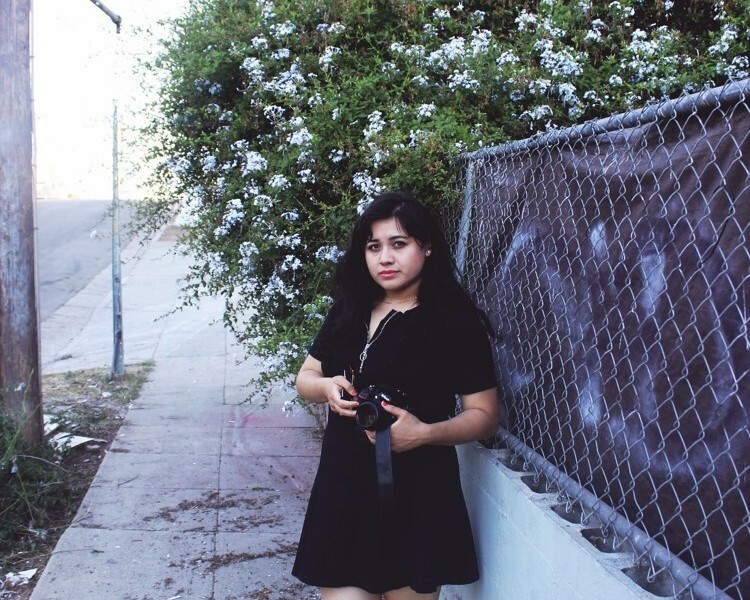 Today we’d like to introduce you to Laura Aguirre. I’ve always been the kid with the camera. In high school and college, I was always photographing my friends. Sometimes just randomly, while we were all hanging out; I liked capturing those memories because it was my way of remembering the beautiful moments of my many beautiful friendships. Other times, it was a little more ambitious. I actually planned, financed and directed my shoots, still with my friends. Always with my friends. And then I found film, or rather, it found me. It was Steven Soderbergh’s King of the Hill, and I fell in love with film so very deeply. I continued to take pictures, but I also started to make little movies. Soon my pictures started to look more like film stills, and I think my style finally began to emerge. Whenever I shoot, I come up with a story and I share it with my subjects, hoping that they’re able to tap into the character I make up. I think that as a teen there was a part of me that wanted to be a photographer and later a filmmaker, but I somehow fell into Documentaries. For the past few years, I’ve been an impact producer on three documentaries and have a few other projects in the works. Photography and filmmaking are still very important to me, but I think I’m still figuring out how they fit in into my current professional work. I do have a creative collaboration with my best friend, Dianne Galindo, called Goon Girls. We’re both very busy girls, but when we have the time, we put our brains together to create cool things. I’m part of Generation Y, so, of course, it hasn’t been easy. Early on, I was set on being one thing. I wanted to be a photojournalist, but my professors weren’t very optimistic and so I lost confidence in that dream. I wish I hadn’t, but I did, and that’s okay. I was young and self-conscious, but thankfully I still had ambition and I continued on. I think that we all start off with a certain dream, and sadly, sometimes we get so stuck on thinking that there’s only one way to get to that dream job, and when other amazing opportunities come our way, we see right past them. Thankfully, I was able to let go of my stubbornness, and in my journey to a dream, I landed a job that I love and am so happy doing. I make my own schedule. I name my price. I’m my own supervisor. It’s awesome! I’m still growing and looking for more. But I think it’s important to embrace the challenges and accept that it’s okay to change our mind about what we want. What role has luck had in your life and career? The only luck I have is with parking, and that tends to be good. Look, I think that good luck favors people who are prepared, which sort of devalues the concept of good luck. One of my favorite people, Casey Neistat, has this saying, “Luck is when opportunity meets preparation.” And that’s true to me 100%. I’ve only gotten lucky when I’ve been prepared for that opportunity, both in my life and career. But I’m not so much a believer in luck as I am a believer in good and bad energy. I think that if you put out good energy and you’re a positive person, then more good will come back to you; and if you put out bad energy, then that’s what you’ll get. And sometimes we don’t even realize what energies and vibes we’re putting out there, and why good or bad things keep happening to us. I know that’s such an LA thing to say, but the universe is so powerful and we’re all a part of it, so it makes a lot of sense to me. Problem-solving. If you’re not good at problem solving, then you have a big problem. Being a good problem solver means that you’re more open to ideas, you’re more resilient, you’re more likely to try again. Being a good problem solver is the key to a lot of my success. When I was 8, my 3rd-grade teacher told me, “Laura, there’s a tiny wall in front of you and you tend to focus so much on what it is and where it came from. All you need to do is step over it and just keep going.” And I think that was such a great thing to say to a kid because it made a huge impact on me early on. It definitely helped me become someone who keeps trying, keeps going. I love Los Angeles. It’s my home. It’s where I feel safe. I love being close to the beach, and I think that’s one of the things that makes LA such a great city. The ocean is such a great place for inspiration and serenity, and we’re never too far from it. I love that. I also love the culture. There’s always something to do, someone to see, something new. LA is a great place to be, at any age. But every great city has its flaw, and ours is homelessness. It’s a severe problem. Forget about bad traffic–our homeless problem is terrible, and I know it’s a hard problem to solve, but I think a lot of it has to do with our community and not giving back. We can’t just think about ourselves all the time. We have to look out for each other and help our city figure out this problem because it’s not just the City’s problem, it’s everyone’s problem.